Thank you for checking the RHDJapan blog. Along with the new year also comes some pricing readjustment from manufacturers. 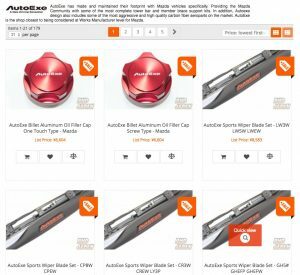 We have received notification that AutoExe will have price increase of up to 8% on select items starting from 2018. We will be extending a discount on the whole lineup for the rest of the year.